Steve Garvey is a former first baseman for the Los Angeles Dodgers and the San Diego Padres. Garvey is a 10-time All Star and 1974 National League MVP who starred for the Los Angeles Dodgers and San Diego Padres. Garvey was nicknamed the “Iron Man” for setting the National League consecutive games record with 1,207 straight. He also earned four Gold Glove Awards for defensive excellence, had 200 or more hits in six seasons and batted .393 in ten All-Star Games. Steve Garvey also won the prestigious All Star Game MVP Award two times, first in 1974 and then in 1978. He also earned the National League MVP award in 1974. PFP Sports & Celebrity Talent Agency is a top booking agent for motivational sports speakers and celebrities. 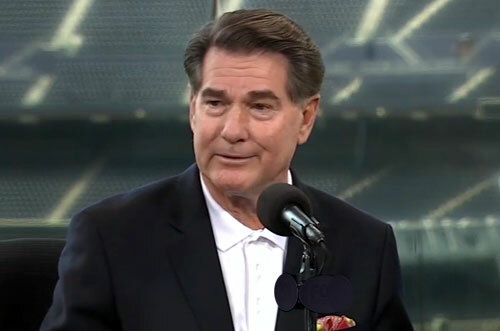 If you would like to book MLB stars like Steve Garvey for a speaking engagement, personal appearance or special event, you can request Steve Garvey agent and speaker information from PFP Sports & Celebrity Talent or call 800.966.1380.